PORT MORESBY - The Motor Vehicle Insurance Limited has recorded over 8,000 uninsured vehicles operating on roads in Papua New Guinea. MVIL Chairman, Joe Wemin, released these figures in Port Moresby this morning. From these figures, the National Capital District had the highest record of 3,844 uninsured vehicles. 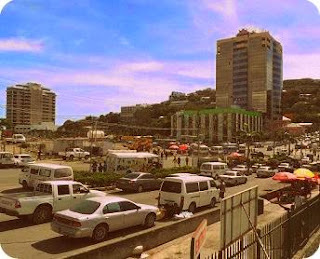 Following NCD, Morobe had the second highest with 1,134 and Western Highlands with 505 uninsured vehicles. Weming said according to section 54 of the Traffic Act, the owner of the uninsured vehicle is allowed to use his vehicle for only 10 days after the vehicle insurance expires. He said after 10 days, it becomes illegal and the owner must renew its insurance. “The law states that MVIL will compensate the people injured in any road accidents,” said Wemin. The act also states that if an uninsured vehicle is involved in a road accident, MVIL is, by law, responsible to pay basic compensation for any injuries sustained, and compensate the lives taken in the event if the victims die. With the recent major road accidents in the country last month, MVIL is now embarking on motorists to insure their vehicles. Each year, MVIL spends over K1.2 million as compensation for road accidents.